Acknowledged as having the most sites out of service following Hurricane Michael, Verizon provides a glowing report that doesn’t correlate with FCC data. The FCC said in Bay County, Fla. yesterday, there were 97 cell sites out. Verizon said on Monday that they only had three sites down in all of the affected areas. Yesterday, he complimented broadcasters for their stellar job. “Another familiar aspect is local radio and TV broadcasters were unsung heroes in their first informer roles and in the aftermath,” Pai told reporters. One of the areas the agency will most likely investigate is the accuracy of the barrage of public relations releases that wax eloquently on how well the carriers are performing in bringing back service to the affected counties. They went into the wireless recovery weeds with ars Technica the same day, stating, that only three cell sites are still out of service, and of those three, there was enough overlapping coverage from other sites to drop their non-performing cell sites to two. 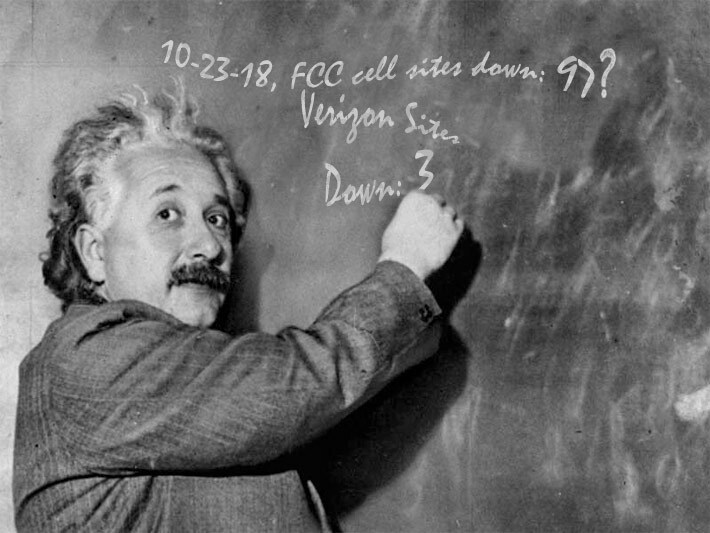 On the following day, the FCC reported that there were still (see below data) 118 cell sites out in the affected areas of Florida, with 97 of them being located in Bay County where Verizon is the dominant carrier, implying that three other carriers are responsible for 115 site outages and Verizon deserves sainthood – if you were to take their three-tower outage count as gospel. AT&T appears to be the next largest carrier in the Florida Panhandle and will most likely see additional business because of their more hardened network. The almost perfect coverage percentage doesn’t identify the number of sites that they have out of service, however; using Georgia to compile their affected area network coverage will skew Florida’s counts since Georgia has so few problems that the FCC deactivated coverage a day before AT&T’s press release.